Click the "Buy Now" link to purchase instant online Gift Certificates 24/7! 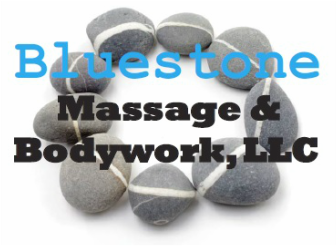 Founded in 2013, Bluestone Massage & Bodywork is truly a unique Therapeutic Massage experience. With an office located high atop the city at 2262 Blue Stone Hills Drive in Harrisonburg, VA, I overlook the beautiful Blue Ridge Mountains and Massanutten Peak. My European, Asian, and Native American inspired treatments are very different from the ordinary "Hot Stone" spa massage. I will take the time to ask you specific questions so that I may focus on your needs and tailor the perfect massage just for you. Appointments are never rushed and you will always get the full treatment time scheduled of hands-on bodywork. Schedule today and see if you don't agree for yourself that this is one of your best massage experiences ever. Please feel free to call or email if you have any questions. ©2018 Bluestone Massage & Bodywork, LLC. All rights reserved.